Ghost houses are a summer-time favorite in Japan. The ghost houses in Japan are eerily scary, providing for a chilling experience even on a hot day. The plot behind many ghost houses are based upon old folk stories, featuring ghosts of people whom faced tragic deaths. To further increase the realism, they provide introductory videos and pamphlets before entering the ghost house to set a plot line. Experience Tokyo Ghost Story Tour that are normally a little hard for Tourists to navigate – try this fun Tokyo Ghost story tour. 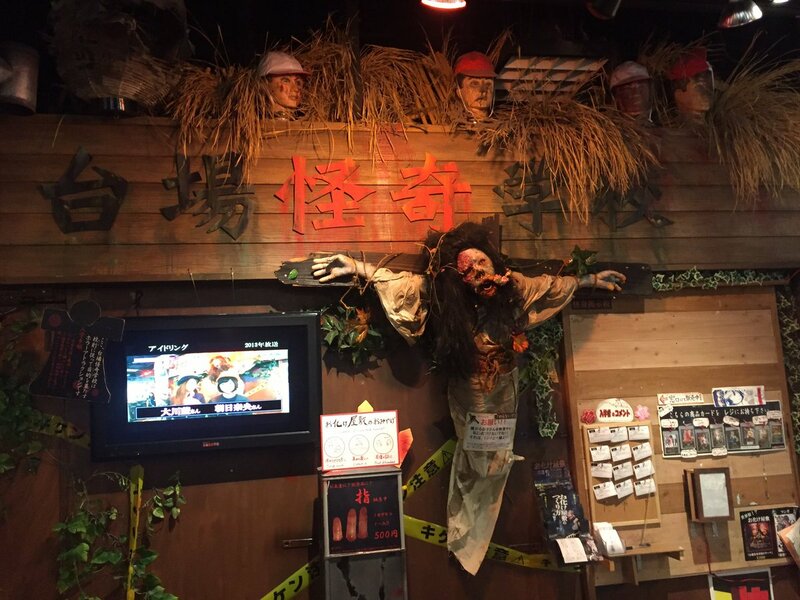 As most may know, the ghost house, or obakeyashiki in Japanese, is an entertainment facility outfitted with various contraptions and decorations to provide a scary and thrilling experience for visitors. Obakeyashiki may use visuals, sound effects, actors/actresses, and various mechanical devices to create the mood. 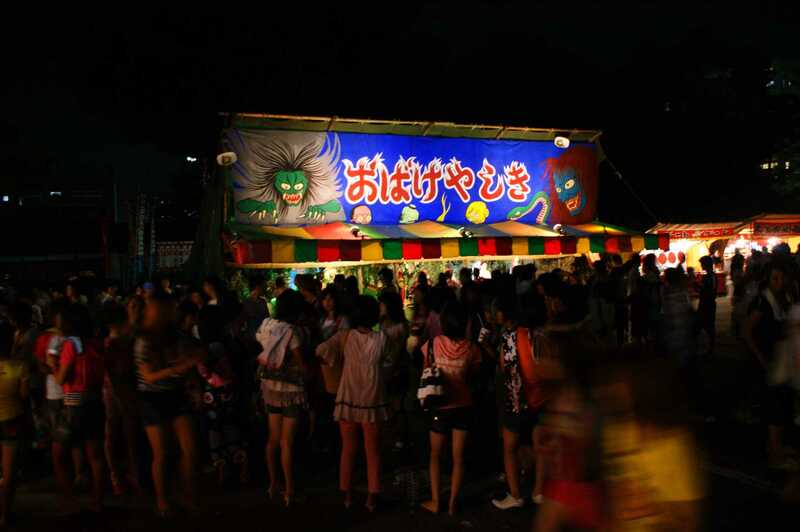 In Japan, obakeyashiki are typically located inside theme parks, but there are also standalone ghost houses and temporary ones at festivals. Additionally, there are drinking and dining establishments with a obakeyashiki theme, where diners can enjoy their meals in a surreal atmosphere blending fantasy and fear. Ghost houses can range from kid-friendly ones to serious ones focused on providing the most frightening experience. This is an English-guided tour that starts at the ghost house in Asakusa. Next, the tour will visit cursed ponds and shrines, where the guide will tell frightening ghost stories. After dinner, the tour will end at an eerie bar, where guests can relax and enjoy a taste of the afterworld. Hanayashiki, located in Asakusa, is the oldest theme park in Japan, opening in 1853. There are three ghost house-related attractions in the theme park. First is the “Sakura No Onrei”, a traditional walk-through ghost house set in a traditional Japanese house. 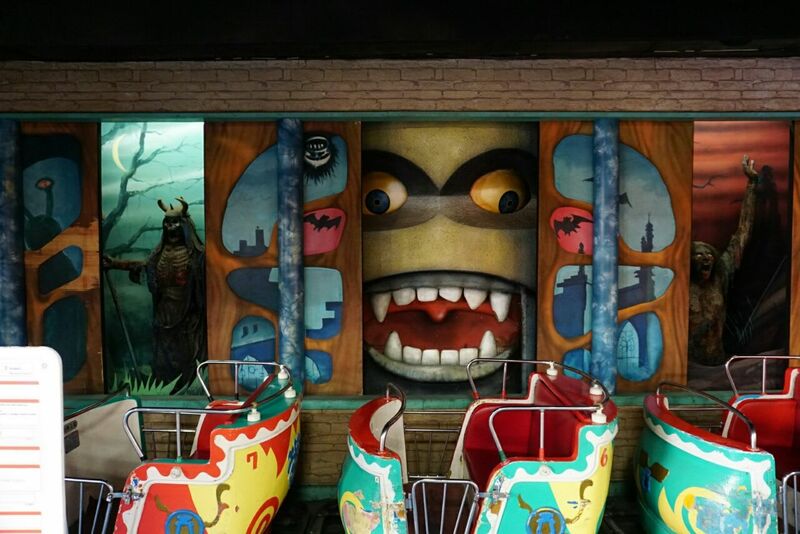 Second is the “Thriller Car” attraction, a ride taking you through a Western-style ghost house. Finally, the “Ghost Kan” employs the latest 3D sound system to provide a visually and aurally frightening experience. 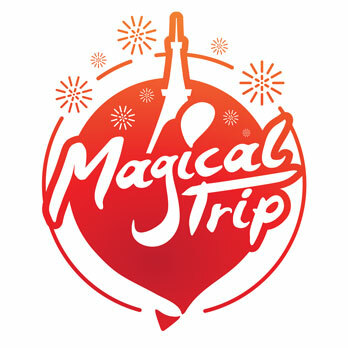 There’s a range of attractions that will satisfy kids and adults alike. The “Labyrinth of Fear” is a walk-through ghost house set in a bloody hospital. Legend says that the hospital was the site of a mass-murder involving hospital patients. Accordingly, the ghosts of deceased patients and crazy scientists are trapped inside the site. The ghost house features sections such as the “Path of Darkness”, a pitch-dark pathway; the “Confinement Room”, a trap room with no exit; and the final “Human Experiment Laboratory”. The ghost house has engineered each minute detail to provide the most frightening experience. The Daiba Ghost School is a walk-through ghost house set in a defunct school that was apparently abandoned 40 years ago. In the ghost house, visitors aim to appease the spirits of four children that were involved in a tragic accident and explore the ghost house using a torch. Inside, visitors will experience paranormal events through their five senses: whispering voices, footsteps, and an approaching presence. Your senses will be heightened in the darkness, leading to a more frightening experience. Obaken is an interactive, mission-type horror attraction located in a residential area. Note that reservations are required. Starting in 2012, Obaken has operated on a seasonal basis and visitors freely roam the ghost house. The current season started in June 2017 and is titled “Season 5: Ifumusebiya”. In this particular mission, visitors must escape a cursed house inhabited by a serial killer by overcoming a series of missions. The attraction is so scary that numerous people retire during the challenge! A ride-type attraction taking place in a Japanese-style ghost house. Prior to entry, visitors choose from three levels of scariness: Hitodama 1, Hitodama 2, and Hitodama 3. Hitodama 3 is the scariest, whereby the presence of ghosts will be at the maximum level. Riders travel through the darkness in a caged carriage, so scared visitors cannot run away. Riders must endure the attacks from the ghosts, which takes a psychological toll on the riders.